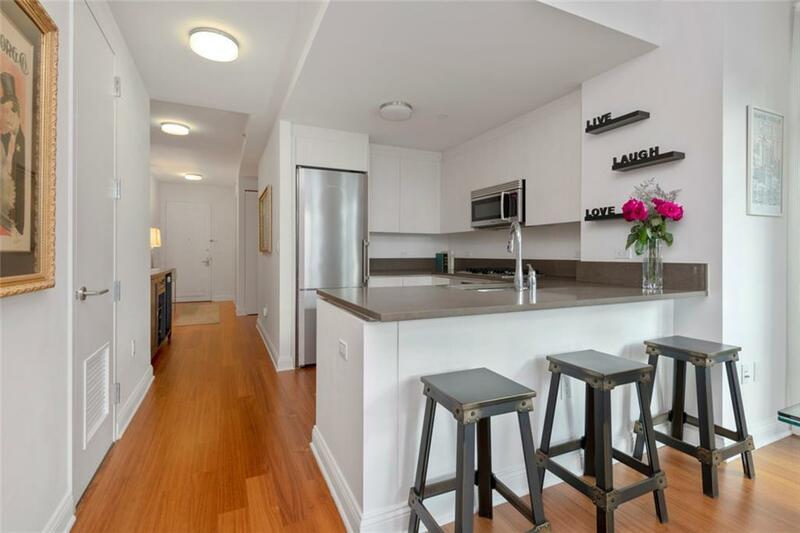 This corner 2 bedroom, 2.5 bathroom condominium is a rare find. An efficient split-bedroom layout provides privacy and an ease of flow throughout the apartment with oversized, floor-to-ceiling windows, facing west and south which bathe the apartment in sunlight all day. The open kitchen is a chef's dream with contemporary white lacquer cabinetry, stainless steel Bosch appliances and Liebherr refrigerator. Family and guests can gather around the breakfast bar which opens into the main living space. A double-basin sink with garbage disposal completes the functionality of the space.The serene master bedroom is spacious with oversized windows that capture spectacular views. The master bathroom is trimmed in marble, limestone and walnut and has an oversized glass stall shower. The showpiece of the master suite is the custom walk-in closet, perfect for any sartorial savant. A half bath and large coat closet located just off the entryway, a newly purchased Bosch washer and dryer conveniently concealed next to the kitchen, an additional well-proportioned bedroom with an ensuite bath, complete with a deep soaking tub, wide-plank teak flooring, California Closets, custom shades and drapes, and a Nest central heating and cooling system, round out the rest of the home. 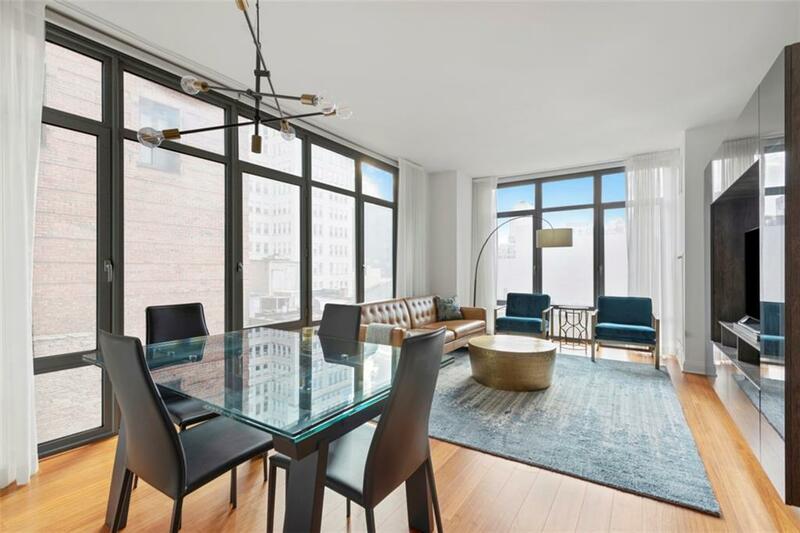 Set on Reade Street, between Broadway and Church Street, 57 Reade is at the epicenter of ultimate downtown living. 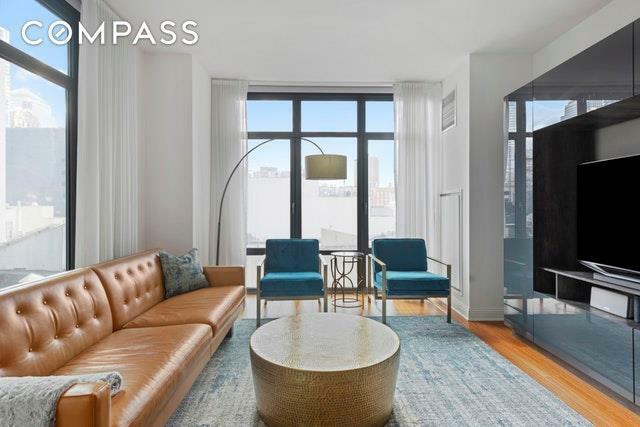 As one of the neighborhood's most sought after full-service condominiums, the building offers countless amenities including a full-time doorman, live-in resident manager, landscaped common terrace, state of the art fitness center and residents lounge. 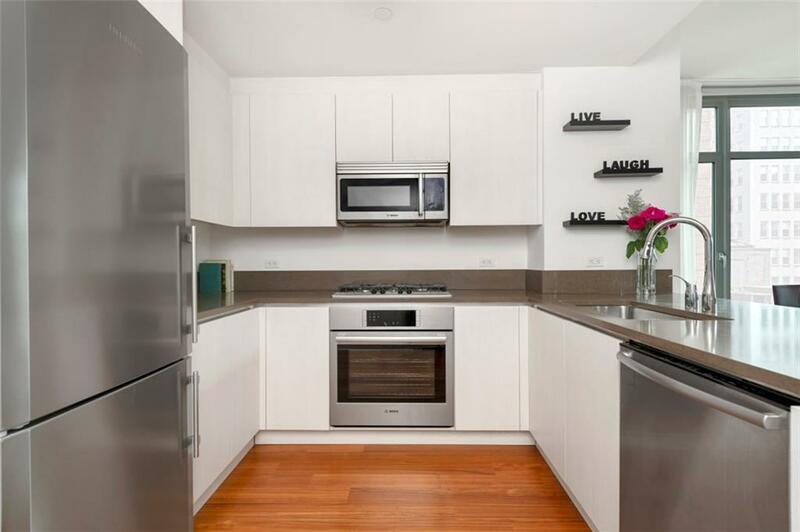 Bicycle and cold storage are added benefits to living at 57 Reade. The city's best dining, shopping and entertainment offerings are abundant with Tribeca, Financial District, Brookfield Place, One World Trade, and Battery Park City just a stone's throw away. Transportation is effortless thanks to a multitude of transportation hubs nearby. The building benefits from a 421-a tax abatement through 2023. Large private storage included in the sale.